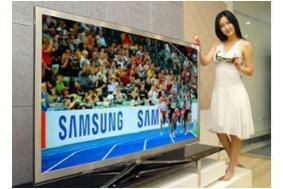 KOREA/USA: Samsung takes US 3D TV market by storm | What Hi-Fi? These are able to stream Full HD 3D content from the internet over the system, which is capable of speeds of up to 330Mbps. It also has a major showcase of its products at the Commonwealth Games, taking place at the moment in Delhi.